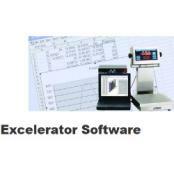 PC software for scales is what this page is all about. Having the correct software to support your product is not only essential to proper function, but allows you to get the most from your investment. We carry software to support several of the products we sell. Truck scale operations currently using a manual ticketing system can automate their process with OnTrak data management software. Print tickets or reports as well as store information to a central database. WeighVault allows the Rice Lake CW-90 and 90X users to add, edit, and access IDs over a network connection. WeighVault surpasses the 50 ID limitation and eliminates front-panel entry of ID parameters. It also collects data as transactions occur, and provides detailed transaction and productivity reports which can be exported to Excel, Word, or PDF. Cardinal PC Companion Computer SoftwareCardinal Scale PC Companion user-friendly reporting software allows you to view a scale’s transactions; create, modify, and delete IDs; and generate a versatile scale data report. This software is programmed exclusively for use with the 2XX-USBA option card for Cardinal Scale’s 200 series indicators. 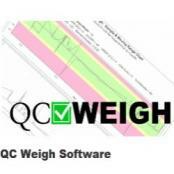 Doran Scales QC Weigh SoftwareDoran QC Weigh allows you to observe plant-wide quality control data from a single PC. Control limits are color-coded so you can quickly identify issues in your production processes. Data is digital and stored in a database for retrieval—eliminating unreliable, handwritten records. 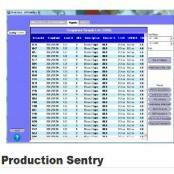 Doran Production Sentry Scale SoftwareProduction Sentry, previously referred to as CW Sentinel, works with the 2200CW family of scales - making it possible to record all weighments on the factory floor. In addition to the weighments, the software records logins to the scale and links these to the weight data. Doran Excelerator Data Collection SoftwareExcelerator is a powerful, easy-to-use, and cost effective software solution designed to collect data from any Doran Scale and transfer it to a Microsoft Excel spreadsheet. Whether it’s one Doran Scale connected to a PC, or up to 20 Doran Scales installed throughout your plant, the Excelerator can handle it all. 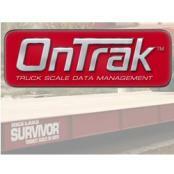 Rice Lake OnTrak Truck Scale Data Management SoftwareTruck scale operations currently using a manual ticketing system can automate their process with OnTrak data management software. Print tickets or reports as well as store information to a central database. 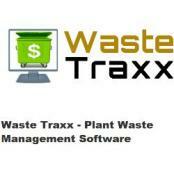 OnTrak is adaptable to a wide variety of industries and compatible with many popular operating systems. Rice Lake WeighVault Software for CounterpartWeighVault for Counterpart is a comprehensive software package that stores and manages data on your PC. 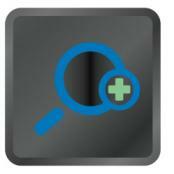 With Counterpart you can create custom reports for inventory, threshold, location and more. 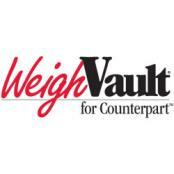 WeighVault for Counterpart is the solution for real-time inventory management. Rice Lake WeighVault Software for CW90WeighVault allows CW-90/90X users to add, edit, and access IDs over a network connection. 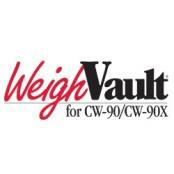 WeighVault surpasses the CW-90/90X's 50 ID limitation and eliminates front-panel entry of ID parameters. It also collects data as transactions occur, and provides detailed reports which can be exported to Excel. 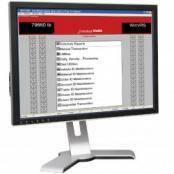 CRS-Calibration Certificate Retrieval System SoftwareCRS online scale calibration certificate software is a portable, hand-held tool is ideal for performing on-site calibrations, allowing access to a secure database of information. A scale technician can easily enter calibration data and customers can quickly view and print certificate(s) from stored data. 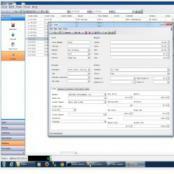 B-Tek ScaleSoft.NET Industry SoftwareScaleSoft.NET is fully customizable truck management system software. Some of the focal points include: Truck In/Out, Rail, Management, and Reporting. This wasn’t built by an outside software company. 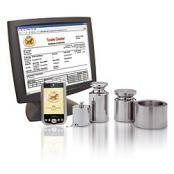 The software was built through years of technical expertise & customer feedback in the industrial weighing industry. The feedback & knowledge that went into ScaleSoft.NET has produced one of the most robust software. Avery Weigh-Tronix PLU Lite SoftwarePLU Lite is a dedicated PC database package that works alongside a single ZK830 to expand its PLU data storage capacity. It harnesses the power, accuracy and strength of a ZK830, with the ability to easily store and recall over 100,000 piece weights.